Similar to other leading specialty food importers and suppliers, New York City-based American Roland Food Corp. (“Roland Foods”) uses Electronic Data Interchange (EDI) to receive orders and send invoices within its international supply chain. However, the EDI software Roland Foods utilized required a dedicated, full-time IT employee to implement hard-coded programming modifications to address individual customer requirements without any real flexibility in the process. As the solution was IT driven, the ongoing process, including the monitoring of daily transactions, was an IT task. Knowing the need to address customer orders quickly and accurately was a function of customer service and not IT, Roland Foods partnered with AFS Technologies to implement a structural and cultural change. The dashboard feature within AFS’ fully-managed EDI solution was the key component Roland Foods needed to move EDI functionality out of IT and into the hands of customer service. The dashboard delivered a new found visibility into raw data and gave Roland Foods the ability to drill down into details and resolve issues more efficiently, allowing the Customer Service team of Roland Foods to track daily transactions, ensure invoices are distributed properly, re-process data and reduce overall errors. “The AFS Data Exchange dashboard is an excellent administrative tool for users to conduct research as well as monitor their EDI traffic,” says Marc Schantz, Chief Information Officer at Roland Foods. The process of on-boarding new trading partners was also streamlined and simplified with the AFS system. AFS eliminated the hours Roland Foods once dedicated to setting up a new partner by shouldering the back-end work, including mapping, coordination and testing data. According to Schantz, time-to-implementation significantly decreased, enabling new trading partners to conduct business with Roland Foods within days. With a technology provider solely dedicated to the food and beverage space as its partner, Roland Foods discovered it was better prepared to manage customer mandates. The process of setting up new GS1-driven requirements for advance shipment notifications or implementing a change due to retailer mandates is far less daunting. If there is a problem with EDI, the team at AFS can proficiently explain the ‘what’ and the ‘why’ to Roland Food’s staff and trading partners. Roland Foods specializes in importing high-quality specialty food products from more than 40 countries. Founded in Paris in 1934 and established in the U.S. in 1939, the company has a national presence in foodservice, retail, and industrial channels as well as international sales in the Caribbean, Central and South America, Asia, Africa, and the Middle East. 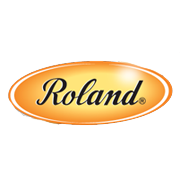 Roland Foods’ dedication to providing quality and consistency has made it a leader among food importers and suppliers. For more information, visit www.rolandfood.com.